don’t harass, bully, or intimidate people. Realistically, your choices are to either use social media and abide by their terms and conditions, or don't use social media. I say “most people”, as groups surface at times that advocate violence or derogatory attitudes towards various societal and/or minority groups, and that suggests that there is a portion of humanity that does need to be told what you can and can't write about on social media. Facebook, Twitter, YouTube and other social media channels all specifically state in their terms and conditions that you can't post any of the above listed content and you can’t use their channels to do anything discriminatory or unlawful, or they will delete your account (the efficacy of this is another issue in itself). Social media terms and conditions also require you to comply with copyright and defamation laws, which I wrote about in detail in a previous column. The most confusing issue is whether you still own the content you create and post. Below is a look at the content ownership clauses on key social media channels. I wouldn’t be a very good lawyer if I didn’t take this opportunity to remind you that the explanation below is no substitute for reading through the full terms and conditions. 1. For content that is covered by intellectual property rights, like photos and videos (IP content), you specifically give us the following permission, subject to your privacy and application settings: you grant us a non-exclusive, transferable, sub-licensable, royalty-free, worldwide license to use any IP content that you post on or in connection with Facebook (IP License). This IP License ends when you delete your IP content or your account unless your content has been shared with others, and they have not deleted it. Facebook users keep ownership of their content, but under Facebook's "Statement of Rights and Responsibilities", users give Facebook a license to use any content that is covered by intellectual property rights. Facebook states photos and videos, but this also covers anything you write in a status update. It would be impossible for interaction to work on Facebook as it does without this license. Your content is yours to keep and share and sell as you desire (this is where the non-exclusive part of the license comes into play), but the transferable and sub-licensable conditions on the license are murky and there are no qualifications explaining the entities or people that Facebook may share your content with (take from this what you will…) or explanation of situations where they may want to transfer your license (a transferrable IP license in a corporate context would usually be in instances of a merger or takeover, but I’m a little more cynical when it comes to social media). The other issue that is a concern here is the applications. While Facebook “asks that applications respect your privacy”, it also specifically states that, “your agreement with that application will control how the application can use, store, and transfer that content and information”, so to be fully aware of how what licenses you are giving over your work, you’d also need to read the terms and conditions of each individual Facebook application that you use. So, similarly to Facebook, you'd need to go through Twitter's partners to see where your content may be used. 2. Some of the Service is supported by advertising revenue and may display advertisements and promotions, and you hereby agree that Instagram may place such advertising and promotions on the Service or on, about, or in conjunction with your Content. The manner, mode and extent of such advertising and promotions are subject to change without specific notice to you. 3. You acknowledge that we may not always identify paid services, sponsored content, or commercial communications as such. 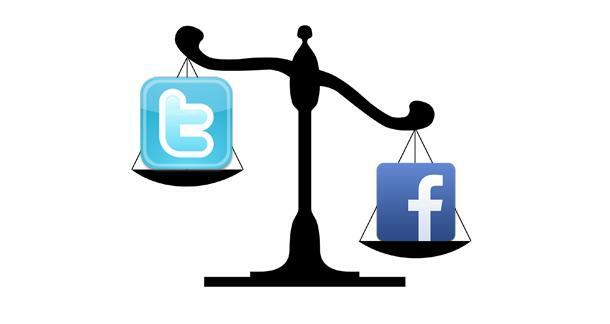 Overall, social media channels have very similar terms and conditions (slightly modified depending on what portion of the social media market they target): users keep their content and can share and sell this in any way they desire, but users allow the channel to retain a license, and the ability to transfer or sublicense this license. And realistically, your choices are to either use social media and abide by their terms and conditions, or don't use social media. Much like banks and telecommunications companies, us mere mortals have no ability to negotiate the terms and conditions for these products or services, and we have to accept them as they are. For clarity, you retain all of your ownership rights in your Content. However, by submitting Content to YouTube, you hereby grant YouTube a worldwide, non-exclusive, royalty-free, sublicenseable and transferable license to use, reproduce, distribute, prepare derivative works of, display, and perform the Content in connection with the Service and YouTube's (and its successors' and affiliates') business, including without limitation for promoting and redistributing part or all of the Service (and derivative works thereof) in any media formats and through any media channels. You also hereby grant each user of the Service a non-exclusive license to access your Content through the Service, and to use, reproduce, distribute, display and perform such Content as permitted through the functionality of the Service and under these Terms of Service. The above licenses granted by you in video Content you submit to the Service terminate within a commercially reasonable time after you remove or delete your videos from the Service. You understand and agree, however, that YouTube may retain, but not display, distribute, or perform, server copies of your videos that have been removed or deleted. The above licenses granted by you in user comments you submit are perpetual and irrevocable. YouTube's terms have a more legalistic feel to them, I expect due to its age in the scheme of social media channels. And given the environment YouTube operates in, it seems more concerned about protecting itself from any liability in relation to users' content, rather than assuring them that they retain ownership in their content, at least in comparison to the newer social media channels and how they draft their terms of service. At any rate, the terms are still very similar — the user retains ownership of their content and gives YouTube a transferable and sublicensable license, and also gives other YouTube users a non-exclusive license over their content. What are your thoughts on social media and licensing your content? Disclaimer: This column does not create a client-attorney relationship and is not intended as legal advice. Should you need any legal advice, speak to an attorney who is skilled in the area and jurisdiction you require. Twitter: Destructor Of Grammar Or Awesome Word Factory?